Alfred H. Perkins was a Farmer, rural mailclerk. The cause of death was softening of Brain. Alfred H. Perkins was a Episcopal. History of Dakota and Goodhue Counties, Minnesota, Vol II, 1910, pg 706-707. Alfred H. Perkins was born in Featherstone, this county, October 26, 1867, a scion of old New England stock. His parents, H. and Violetta E. (Ellsworth) Perkins, left New England in the late 1850's and located on a farm in the county of Goodhue, coming to Red Wing in the early 1870's. Here the father was engaged in several business ventures, continuing his connection with same until his death. The mother now makes her home in Boston, Mass. Alfred received his education in the public schools of Red Wing, farmed five years at Featherstone, engaged in the livery business at Red Wing for a time, and then returned to Featherstone again. In 1895 he removed to Hartland, Pierce county, Wisconsin, and followed farming there until 1900, after which he entered the employ of the government as rural mail clerk. He died April 15, 1906. Thus cut off in the prime of manhood, there is doubtless much that he would have accomplished had he lived man's allotted span of days. His life was characterized by hard work and family devotion, and his death was a distinct bereavement to the community as well as to his loving family. He was a Republican in politics, a communicant of the Episcopal church and a member of the Modern Workmen. Mr. Perkins was married April 24, 1889, at Burnside, Minn., to Jennie W. Purdy, daughter of David and Mary F. (Rolfe) Purdy, natives of New York. They came to Minnesota in 1864 and located on a farm in Goodhue township, where they remained for some time, after which they retired and moved to Red Wing, where the father died. The mother died May 19, 1905. 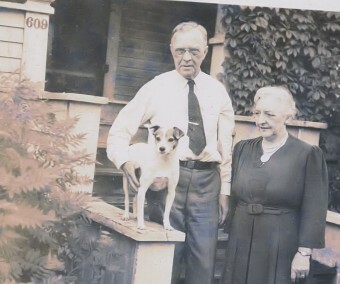 To Mr. and Mrs. Alfred H. Perkins were born three children: Harry H., born August 1, 1892, Burton T., born October 14, 1896, and Genevieve, born September 19, 1897. The family residence is at 1604 West Sixth Street. Following from The Red Wing Daily Republican, 3:1, 10Apr1889 and 25Apr1889. The marriage of Miss Jennie Willets Purdy, daughter of Mr. and Mrs. David Purdy, of Burnside, to Alfred H. Perkins, son of Mr. and Mrs. H.E. Perkins, will take place on Wednesday, April 24, at 3 p.m. at the home of the bride's parents in Burnside. The ceremony was performed by Rev. C.H. Plummer, rector of Christ church. In the evening a reception was held, which was attended by about sixty. Mr. and Mrs. Perkins will make their home in Featherstone. Following from the Red Wing Daily Republican, 18Apr1906, 5:3. Funeral services over the remains of the late Alfred H. Perkins were held this morning at 10:30 o'clock at the residence on West Sixth street. The pall bearers, members of the Workmen lodge, to which the deceased belonged, were G. Schlenter, R. Kolbe, Oliver Comstock, J.O. Hancock, Felix Lindberg, and S.S. Lundquist. Rev. C.C. Rollit, assisted by Rev. C.H. Plummer, of Lake City, read the funeral service. Those from out of town were Dr. and Mrs. Frank Perkins of Ellsworth. Following from Red Wing Daily Republican newspaper, 5:3, 16Apr1906. Alfred H. Perkins died at noon Sunday at his home on West Sixth street. Mr. Perkins has been failing in health for a long time and death was not unexpected. He was born in Featherstone on Oct. 26, 1867. Besides his wife and three children, Harry, Burton and Genevieve, he is survived by his mother, Mrs. V.E. Perkins, who is now visiting in Houston, Texas, and four brothers, Marshall T. Perkins of Red Wing, Dr. Frank Perkins of Ellsworth, and Dr. Burton Perkins of Houston, Texas, and one sister, Mrs. C.L. Jones of Boston. Funeral services will be held at the residence Wednesday morning at 10:30 o'clock, Rev. C.C. Rollit officiating. Census 1870 Featherstone, Goodhue Co., Minnesota, pg 145, listed as 2 years old. Census 1875 Featherstone, Goodhue Co., Minnesota, pg 287, listed as 7 years old. Census 1 June 1900 Hartland, Pierce Co., Minnesota, listed as born in Oct 1867 in Minnesota and as a farmer. [S307] SOURCE: Goodhue Co , MN, Marriage Records, Vol 11, page 274, Goodhue County Courthouse, Red Wing, Goodhue Co., Minnesota. [S309] Alfred H. Perkins entry, SOURCE: Goodhue Co , MN Death Record, Book 4, page 103, line 34, Goodhue County Courthouse, Red Wing, Goodhue Co., Minnesota. [S306] Franklyn Curtiss-Wedge, History of Dakota & Goodhue Counties, 1910, pg 706-707 (n.p. : H.C. Cooper, 1910). Hereinafter cited as History of Dakota & Goodhue Co.
[S308] Unknown article title, OBITUARY: Red Wind Daily Republican, 18Apr1906, pg 5 col 3, Red Wing, Minnesota, 18 Apr 1906, 5. Hereinafter cited as RWDR. Her married name was Purdy. In Death Record, listed as "Anna Marie Purdy". In Death Record, parents listed as Charles Ceder & Hannah Hansen. Following from The Red Wing Daily Republican Eagle, page 3 column 4, 13May1957 (Monday). Mrs. Anna Purdy, 83, 319 1/2 Bush Street, died Sunday afternoon at the City Hospital where she had been confined since Saturday. Mrs. Purdy was born in St. Paul on August 19, 1873 to Charles and Hannah Cedar. She moved to Red Wing with her family when she was four years old. On September 12, 1894, she was married to Samuel H. Purdy in Red Wing. In 1911 they moved to Lake City where they resided until returning to Red Wing in 1938. Her husband preceded her in death in 1951. She was a member of the Christ Episcopal Church and the Parish Aid of the Church. Surviving are two sons, David of Monrovia, Calif., Myron of LaCrosse; two daughters, Mrs. Herbert (Dorothy Marie) McLaird of LaCresent, Minn., Mrs. Harry C. (Evelyn) Schneider of Red Wing; a brother, Herman Ceder of Los Angeles, nine grandchildren and eight great grandchildren. A son and daughter preceded her in death. Funeral services will be held at Christ Episcopal Church Tuesday afternoon at 2 o'clock with the Rev. Monroe Bailie officiating. Internment will be in Oakwood Cemetery. [S312] Anne Marie Ceder entry, SOURCE: Goodhue Co , MN Death Record, Book 9, page 54, line 6, Goodhue County Courthouse, Red Wing, Goodhue Co., Minnesota. [S310] Paul Bradley PURDY (321), A branch of the Purdy family descending from David and Eliza Ann Purdy with David's line from Francis Purdy of Fairfield 1595-1658, pg 13-14 (n.p. : n.pub., c1962). Hereinafter cited as The David Purdy Family. [S311] Unknown article title, OBITUARY: Red Wing Daily Republican Eagle, 13May1957, 3:4, Red Wing, Minnesota, 13 May 1957, 3. Hereinafter cited as RWDRE. Anna Christiansen was born on 17 February 1875 at Red Wing, Goodhue Co., Minnesota.1 She was the daughter of Carl Christiansen and female (?) Anna Christiansen married William Hopkins Purdy, son of David Willets Purdy and Frances Mary Rolfe, on 24 May 1899 at Red Wing, Goodhue Co., Minnesota.2 Anna Christiansen died on 10 May 1947 at Turner, Marion Co., Oregon, at age 72.3 She was buried at City View Cemetery, Salem, Marion Co., Oregon; Plot: Sec. M.
[S314] Anna Christiansen entry, birth, Goodhue County Courthouse, Red Wing, Goodhue Co., Minnesota. [S313] Paul Bradley PURDY (321), A branch of the Purdy family descending from David and Eliza Ann Purdy with David's line from Francis Purdy of Fairfield 1595-1658, pg 15, born 17 Mar 1875 (n.p. : n.pub., c1962). Hereinafter cited as The David Purdy Family. Her married name was Merz. She lived in 1960 at Florence, Lane Co., Oregon. Her Social Security Number was 542-56-2039 issued in Oregon Social Security Death Index (b- 06Dec1900 d-Jan1987). The following obituary from The Siuslaw News, Florence, Oregon, January 14, 1987, page 2A, column 1. Geraldine Purdy Merz, long-time resident of the Florence area, died Jan. 8, 1987 in Campbell, Calif. Merz was born on Dec. 6, 1900 in Red Wing, Minn., the daughter of William and Anna Purdy. The Purdy family moved to Woodburn in 1912. She has been a resident of Oregon since that time and married Herman John Merz on Sept. 2, 1925 in Turner. He died on March 12, 1976. She was active in various community affairs all of her life. She was an active member of the Ada Grange for 50 years. She served her neighbors and community through 4-H, Western Lane Republican Women, Western Lane Hospital Auxiliary, Siuslaw Valley Parks and Recreation District, Siltcoos Home Extension, Florence Friends of the Library, Florence Community Concert Association, A.A.R.P., the Presbyterian Church of Florence and other organizations. Merz attended Willamette University and graduated from Monmouth Normal School in 1921. She taught elementary school in Langlois, Pendleton, Woodburn, and Upper Fiddle Creek School at Ada. The Merz' move to the Fiddle Creek valley, southeast of Florence in 1927, operating Alderwold Dairy Farm for nearly 30 years. They developed a herd of registered Jersey cattle that won them national recognition. When they retired from the dairy business in 1955, they purchased property in north-central British Columbia. There they developed a beef ranch now owned and operated by their son David. Survivors include her four children, Bob Merz and his wife Shirley of Florence, Marilyn Adkins of Campbell, Calif., David Merz and his wife Lois of Fort Fraser, British Columbia, Canada and Karen Christensen and her husband Gerald of Saratoga, Calif. Also surviving are her sisters, Ruth Rue of Salem, Frances Everest of Milwaukee, a brother, Kenneth Purdy of Turner and a sister-in-law, Amelia Merz Thorne of Coos Bay. A memorial service was held Monday, Jan. 12, at 1 p.m. at the Florence Christian Church. [S315] Geraldine Purdy entry, birth, Goodhue County Courthouse, Red Wing, Goodhue Co., Minnesota. [S316] Unknown article title, OBITUARY: The Siuslaw News, Florence, OR 14Jan1987, pg 2A, col 1, Florence, Oregon, 14 Jan 1987, 2A. Ruth Willets Purdy was a Teacher. Her married name was Rue. She lived in 1960 at Silverton, Marion Co., Oregon. Her Social Security Number was 541-54-2199 Issued in Oregon before 1963. Oregon Death Index. The following obituary was from the Statesman-Journal, Salem, Oregon, January 25, 1988 (Monday), page 2B, column 3. Ruth W. Rue, of Salem, died Saturday. She was born in Red Wing, Minn. She moved to Salem in 1911 from Minnesota. She taught at Salem High School and Silverton High School in the 1930's. Survivors include her daughter Jeanne Pickersgill of Stayton; brother Kenneth Purdy of Aumsville; and sister Frances Everest of Milwaukee. Services will begin at 1 p.m. Thursday at Mt. Crest Abbey Mausoleum Chapel, Salem. Arrangements are by Howell-Edwards-Doerksen mortuary, Salem. Her married name was Everest. She lived in 1962 at Langlois, Curry Co., Oregon. She lived in 1988 at Milwaukee, Milwaukee Co., Wisconsin. Frances in Milwaukee in 1987, according to sister Geraldine's obit. Frances in Milwaukee in 1988, according to sister Ruth's obituary. Her Social Security Number was 540-22-7872. Residence at time of death was Portland, Oregon. Kenneth Alonzo Purdy was born on 8 February 1910 at Sebeka, Wadena Co., Minnesota.1 He was the son of William Hopkins Purdy and Anna Christiansen. Kenneth Alonzo Purdy married Marjorie Elenore Swedenburg, daughter of Francis Gustavus Swedenburg and Olive E. Eggleston, on 8 May 1949 at Marion Co., Oregon. Kenneth Alonzo Purdy died on 15 May 2001 at Marion Co., Oregon, at age 91. He was buried at City View Cemetery, Salem, Marion Co., Oregon. He lived in 1961 at Aumsville, Marion Co., Oregon. He lived in 1988 at Aumsville, Marion Co., Oregon. Kenneth in Turner-OR 1987, according to sister Geraldine's obituary. Kenneth in Aumsville, OR 1988, according to sister Ruth's obituary. He lived in 1960 at Florence, Lane Co., Oregon. His Social Security Number was 540-44-8209. Issued in Oregeon in 1955. Social Security Death Index (b- 16Jul1894 d- Mar1976). The following obituary from The Siuslaw News (Florence, Oregon), on March 18, 1976, page 6, column 4. Herman John Merz of 369 Juniper Street, Florence, died March 12. He was born in Harbor, Ore., July 16, 1894, and was united in marriage to Geraldine Purdy in Turner, Ore., September 2, 1925. In 1928 he move to Ada, Ore., where he and his wife owned and operated a dairy ranch for 27 years. After the sale of the dairy ranch, the couple pioneered again, this time on a beef ranch on Ford Fraser, British Columbia, Canada. This they owned and operated for 12 years after the sale of which they returned to their home in Florence. Surviving are his wife, Geraldine; two sons, Robert L. Merz of Florence and David L. Merz of Fort Fraser, British Columbia, Canada; two daughters, Mrs. B.W. (Marilyn) Adkins of Fairfax, Virginia and Mrs. G.A. (Karen) Christensen of San Jose, CA; one sister, Mrs. Amelia M. Thorne of Coos Bay, Ore; ten grandchildren; and several nieces and nephews. Funeral services will be held Tuesday, Mar. 16 at 1:30 p.m. in the Riverside Chapel, with Pastor Bernard Plumb officiating. Private internment will follow in the Ada Cemetery, Ada, Ore.
Clifford Gilbert Rue was born on 24 June 1896.1 He married Ruth Willets Purdy, daughter of William Hopkins Purdy and Anna Christiansen, circa September 1930 at Turner, Marion Co., Oregon.1 Clifford Gilbert Rue died on 20 December 1953 at age 57.1 He died on 22 December 1953 at Marion Co., Oregon, at age 57; Ancestry.com. Oregon Death Index, 1903-98. (database online) Provo, UT: Ancestry.com, 2000. Original data: State of Oregon. Oregon Death Index, 1903-98. Salem, Oregon: Filmed by the Oregon State Archives and Records Center, (1998-) . Death certificate #13786. Joseph Ira Everest was a Dairyman. He lived in 1962 at Langlois, Curry Co., Oregon. His Social Security Number was issued in Oregon. The following obituary from The Port Orford News, Oregon, Thursday, Sept. 2, 1971, page 2, column 7. Joseph Ira Everest, 77, Langlois, died Aug. 20 in Langlois. He was born March 6, 1894, at Newburg, Ore., and lived over 40 years in Langlois. He was a dairyman. Surviving are the widow, Frances; sons, James of Ashland, and Richard and William of Langlois; daughters, Ruth Ann Marlatt, Milwaukee; Jean Smith, Coos Bay; and Frances Mollier, North Bend; brother, Charles, Tacoma, Wash; sister, Mary Stover, Ethel, Wash., 18 grandchildren and two great-grandchildren. Funeral services were Aug. 24, at 2 p.m., in the Bandon Chapel of Coos Mortuaries. Pastor James B. Davis of Langlois Community Church officiated. Vault internment was in the Denmark Cemetery. Marjorie Elenore Swedenburg was born on 16 October 1910 at Ashland, Jackson Co., Oregon. She was the daughter of Francis Gustavus Swedenburg and Olive E. Eggleston. 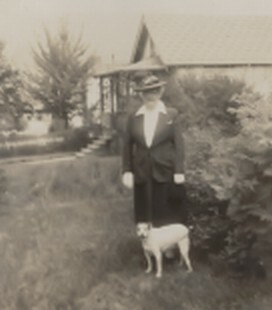 Marjorie Elenore Swedenburg married Kenneth Alonzo Purdy, son of William Hopkins Purdy and Anna Christiansen, on 8 May 1949 at Marion Co., Oregon. Marjorie Elenore Swedenburg died on 22 March 2001 at age 90. She was buried at City View Cemetery, Salem, Marion Co., Oregon. Her married name was Purdy. She lived in 1961 at Aumsville, Marion Co., Oregon. Edward Harn was born on 2 March 1862 at Oregon.1 He was the son of William Singleton Harn and Juliette Ann Reed. Census 14 June 1880 Dalles City, Wasco Co., Oregon, listed as 18 years old. Lloyd Robert Harn was born on 24 November 1864 at Oregon.1 He was the son of William Singleton Harn and Juliette Ann Reed. Lloyd Robert Harn married Agnes Jefferies at Oakland, Alameda Co., California; Ellen Dorcas Harn Manuscript. Census 14 June 1880 Dalles City, Wasco Co., Oregon, listed as 15 years old. Fred Harn taken in St. Cloud, Minnesota. "Taken about 25 years ago, April 2-1910". Photo of Fred Harn, taken in St. Cloud, MN. Marriage records lists Fred as 38 years old and born in Portland, Oregon; lists Minnie Schwartz as 35 years old and born in Ohio.2 Fred Harn lived circa 1900 at Eagle Grove, Wright Co., Iowa. Census 14 June 1880 Dalles City, Wasco Co., Oregon, listed as 13 years old. Reference Number: p 107 cn 9468. Hereinafter cited as Iowa Marriages, 1809-1992 for Fred Harn. William Calvin Harn was born between 15 October 1872 and 1873 at Oregon. He was the son of William Singleton Harn and Juliette Ann Reed. E.B. HARN Sheets lists William as born 15Oct1873. Census 14 June 1880 Dalles City, Wasco Co., Oregon, listed as 6 years old. Census 8 June 1900 Multnomah Co., Oregon, says born Oct 1872. Emaline Harn at 18 years old in Portland, Oregon. 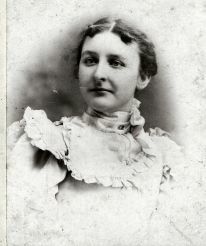 Her married name was Brooke.3 Photo of Emma HARN, taken in Portland, Oregon. Emaline C. Harn was also known as Emma. She lived in August 1904 at Multnomah Co., Oregon.3 In Reid J. Brooke's application for enlistment on Dec 1941, his parents were still alive. Census 1900 Multnomah Co., Oregon, says born Aug 1880. [S2284] Find a Grave Inc., Find a Grave, database and images (: accessed Mar 2014), Emma Harn Brooke (1880-1950) gravestone photograph, memorial no. 69351555, Lone Fir Pioneer Cemetery, Portland, Multnomah Co., Oregon, photograph © Linda Jenkins Werts, 2014. Agnes Jefferies was born in November 1872 at Illinois; Information from 1900 California Census. She married Lloyd Robert Harn, son of William Singleton Harn and Juliette Ann Reed, at Oakland, Alameda Co., California; Ellen Dorcas Harn Manuscript. Minnie Swartz was also known as Schwartz last name listed as Schwartz in marriage record.2 Her married name was Harn. Find A Grave Memorial# 112681666. Census 1875 Featherstone Twsp., Goodhue Co., Minnesota, pg 678, 7 years old. Source Citation: Year: 1900; Census Place: Grand Forks Ward 4, Grand Forks, North Dakota; Roll: 1228; Page: 1A; Enumeration District: 69; FHL microfilm: 1241228. Source Citation: Year: 1910; Census Place: Spokane Ward 4, Spokane, Washington; Roll: T624_1671; Page: 13B; Enumeration District: 0184; Image: 301; FHL microfilm: 1375684. Jonathan Purdy was born on 20 April 1728 at White Plains?, Westchester Co., New York.1 He married Charity Hadden, daughter of Job Hadden and Elizabeth Griffen. Jonathan Purdy was the son of Jonathan Purdy and Mary Hart. Jonathan Purdy died circa 1783.1 He died on 3 October 1783 at age 55.2 He was buried at Purdy Cemetery, New York. As of 1880, Charlotte Y. (Lottie M.) Harn was also known as Lottie.3 The cause of death was Consumption. OBITUARY: Red Wing Daily Republican, 10Apr1888, 3:2. Death Record for Charlotte Y. Harn, age 17yrs, 3 mo, 9 days. Unable to locate Goodhue Co. Birth Record from 1870-1900. Following from the Red Wing Daily Republican newspaper, 10Apr1888, 3:2. Miss Lottie Harn, daughter of Mrs. E. L. Harn, died yesterday afternoon at her home on South Park street, of consumption, aged eighteen years. She had been ailing for several years, and her death was not unexpected. She was a young lady possessed of those qualities which constitute a model woman and her kindly disposition and ways had made her the center of a circle comprising all who knew who and none will more deeply mourn her death in the very morning of her life than those who know her best. Census 1885 Red Wing, Goodhue Co., Minnesota, listed as 14 years old. Lulu M. Harn was a Housewife. Her married name was Cook. As of circa 27 August 1908,her married name was Perkins. The cause of death was Pulmonary Embolism or Coronary Thrombosis. Red Wing Daily Republican, 8Sep1890,3:2, marriage notice. Unable to locate Goodhue Co., MN Birth Record 1870-1900. Lulu had no kids by Allan or Marshall. Following from the Red Wing Daily Republican Newspaper, 3:2, 8Sep1890. Married, Saturday evening, at the residence of the bride's mother, in this city, Rev. J.W. Hancock officiating, Miss Lulu M. Harn and Allen C. Cook, both of this city. There was music at the informal reception which followed the ceremony. Following from the Red Wing Daily Republican Newspaper, 5:4, 14May1935, and 15May1935 (Wednesday) 5:4. Mrs. Lulu M. Perkins, wife of Marshall T. Perkins, 627 Sixth street, died suddenly Monday night following an acute heart attack. She was stricken shortly after 8 o'clock in front of the home of Louis W. Nordly, 411 Franklin street, while out for a walk. She managed to reach the door of the Nordly residence and was helped inside by Mrs. Nordly, who summoned a doctor. Death occurred ten minutes later. Mrs. Perkins had been ailing in health for the past year, but had been able to be up and around. She was born in Red Wing on May 8, 1872, and was united in marriage to M.T. Perkins at Ellsworth, Wis., on August 12, 1908. Her sudden death will bring sorrow to a host of friends. The only surviving relative is her husband. The funeral will be held at the Ferrin Mortuary tomorrow afternoon at 2 o'clock. Rev. E.F. Hall, minister of the First Methodist church officiating. Burial will be at Oakwood cemetery. The pall bearers were Andy Lundquist, Charles Sundberg, Benj. J. Hawkins, C.R. Berlin, H.W. Swanson and Oscar Dahl. Census 1875 Red Wing, Goodhue Co., Minnesota, pg 678, 2 years old. Census 2 June 1900 Red Wing, Goodhue Co., Minnesota, listed as 27 years old, born March 1873 in Minnesota, married 9-years, had one child that was still alive. Enumerated only with husband Allan. Census 1920 Red Wing, Goodhue Co., Minnesota, E.D. 52, Sheet 8. Harold Harn taken in Red Wing, Minnesota. 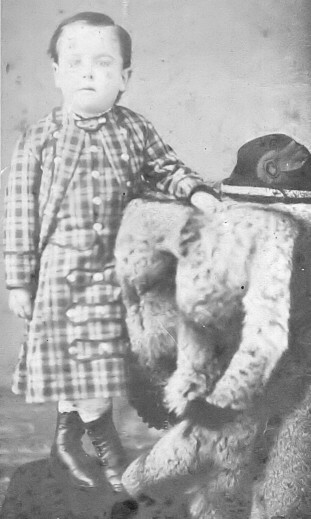 Harold Harn as baby, taken in Red Wing, Minnesota. The cause of death was Tuberculosis of Lung. Birth Record lists no first name for the male child born 12Apr1881. Photo of Harold Harn, says "Now Dead 1916". Following from the Red Wing Daily Republican newspaper, 20Dec1902, 3:2. Harold Harn dead, end came after long suffering from Tuberculosis. Harold Harn, son of Mrs. Zelphia Harn, residing at 479 Fifteenth street, died at 5 o'clock this morning of tuberculosis. He was born in Red Wing and was 21 years and 8 months old. He had been ailing in health for a long time but it was only the past two months that he was confined to the house. He was a young man of good habits and his death is mourned by a large of friends. Besides his mother he leaves two sisters and one brother. Funeral services will be held at the residence Monday afternoon at 3 o'clock. Rev. E.H. Moore, pastor of the Presbyterian church, officiating. Following from the Red Wing Daily Republican newspaper, 22Dec1902, 3:2. Funeral services over the remains of Harold Harn were held at the residence on Fifteenth street this afternoon at 3 o'clock, Rev. E.H. Moore officiating. The pall bearers were Jesse A. Schunk, Geo. Masters, Geo. Raab, Geo. Kirn, Adolph Bender and Wm. M. Ericson. Internment was in Oakwood cemetery. Census 1885 Red Wing, Goodhue Co., Minnesota, listed as 4 years old. Census 1895 Red Wing, Goodhue Co., Minnesota, listed as 14 years old. Census 1900 Red Wing, Goodhue Co., Minnesota, E.D. 50, sheet 4. Hist & Genealogy of Hoagland Family in America, pg 197-198. As of 3 January 1771,her married name was Guion. Her married name was Hoogland. Her married name was Haskell. Death Record listed age as 2yrs-10mos. The cause of death was Spinal Meningitis. Birth Record had no given name for girl of E.L. and Z. Harn.